Hi. I’m Sarah Lazarovic. I do these things: designing, illustrating, cartooning, writing, teaching, spelunking, strategizing, publishing, talking, baking, winning, besting, filming, selling, not selling, Tumbling, squirrelling, NFBing, Tweeting, charting, Facebooking, TodayShowing, fellowing, essaying, dancing, illuminating, toasting, live-sketching, live-GIFing, reporting, showing, signing, launching, divesting, bee-ing, Bee-ing, unconsuming, quantifying, founding, postering, running, critiquing, mediumizing, revering, linking. As a designer, I work through the lens of behaviour. I spent 2015 studying behavioural economics and sustainability as a Massey Fellow. I run the Toronto chapter of the Action Design network. We apply behavioural insights to design, from public policy to consumer products. My research focus is on behavioural design for sustainability. I’ve worked for every major publication in Canada, founded the website Torontoist, launched the website for The Hour with George Stroumboulopoulos, and been a digital artist-in-residence at the Banff New Media Institute. 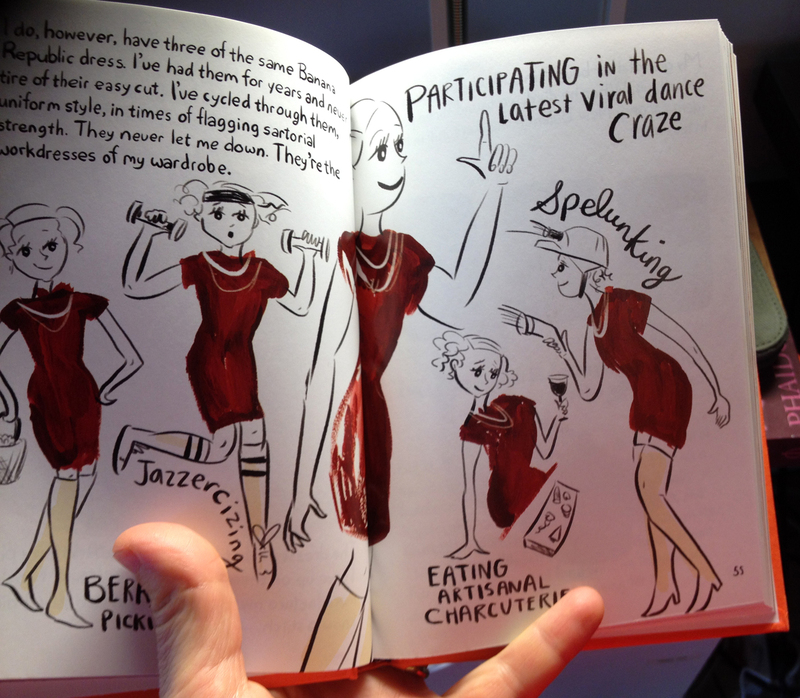 In 2014, I wrote a book: A Bunch of Pretty Things I Did Not Buy. It’s available at fine libraries everywhere. I am currently the Creative Director of Pilot PMR, a communications and creative agency in Toronto. 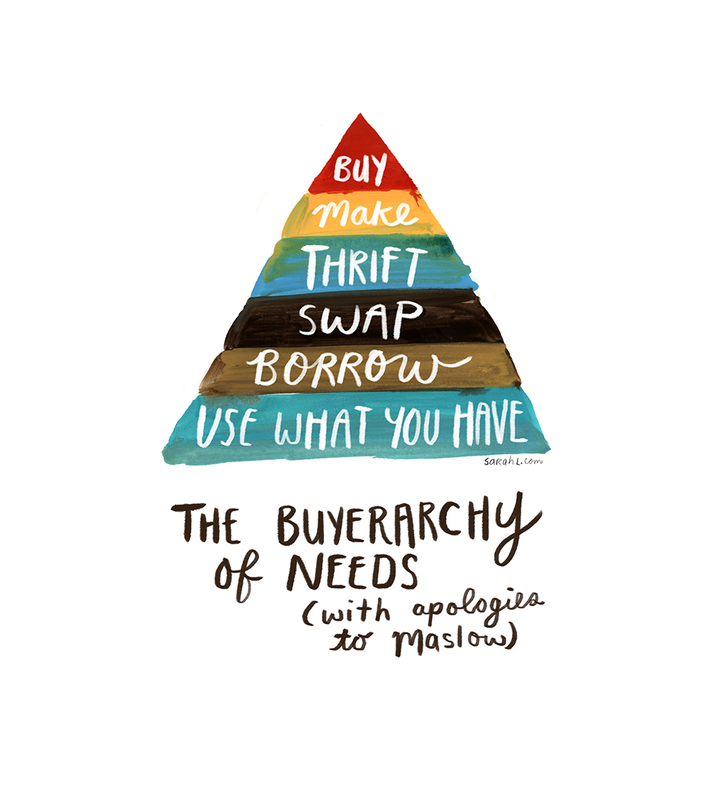 If you’re here for The Buyerarchy of Needs, you’re free to share, print, tattoo it on your person (Just please don’t redo it in weird fonts. And credit me, please). If you’d like it translated into a different language, let me know.